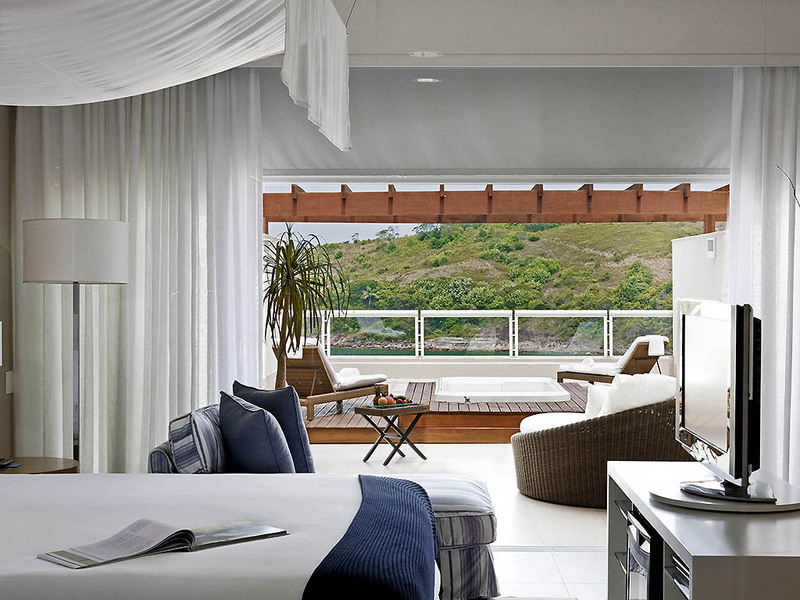 There are many words to describe what the Sofitel Guarujá Jequitimar hotel has to offer - nature, high sophistication, elegance, relaxation, indulgence, entertainment... yet simply magnifique seems to say it all. 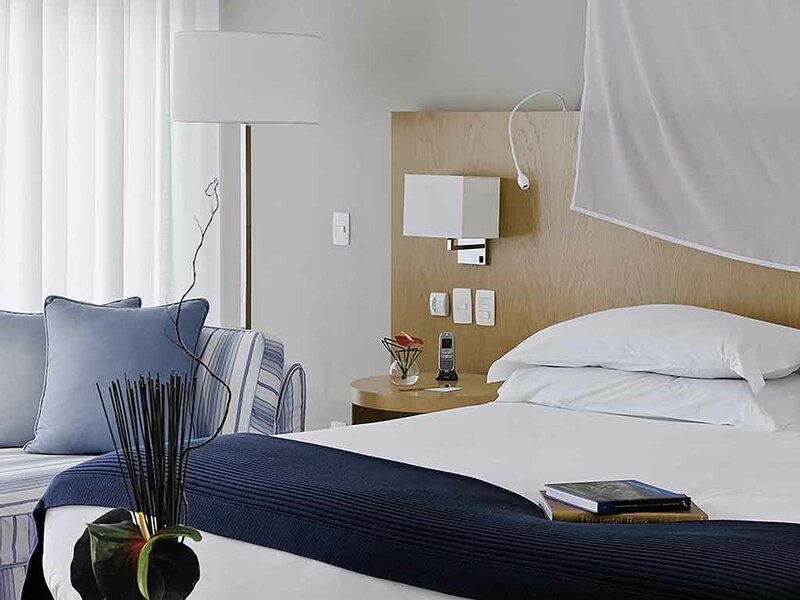 Located in one of the trendiest hotspots of the São Paulo coast and close to the city itself, we offer the ultimate in impeccable style and attentive service. Facing the sea and the horizon, the Sofitel So SPA has been designed to create perfect harmony in body and mind. It richly deserves its reputation as Guarujá's most exclusive spa. Natural beauty, luxury, elegance and lots of fun. 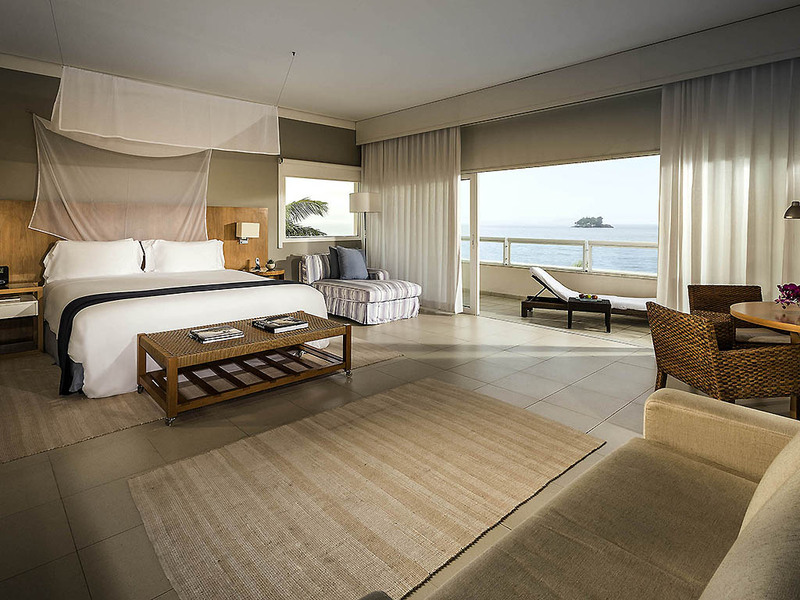 This is what makes the Sofitel Jequitimar Guaruja a magnifique experience! 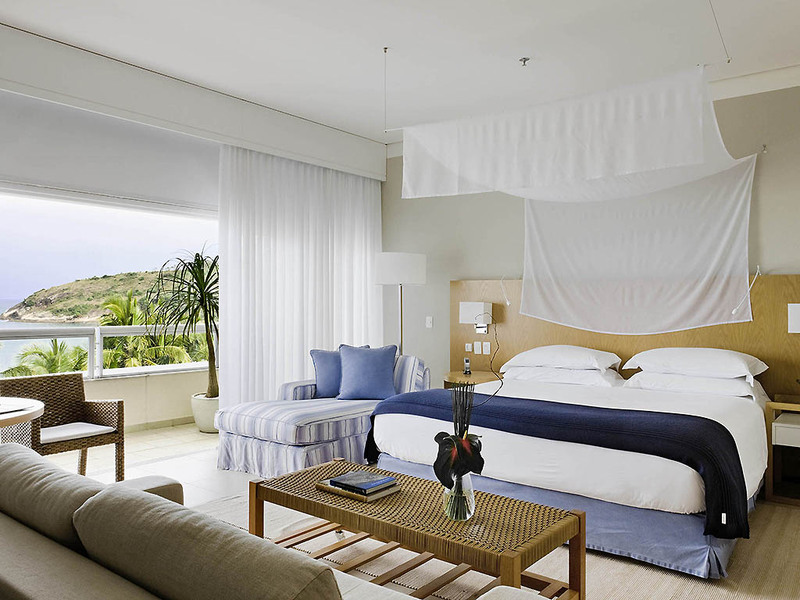 Enjoy unforgettable days on one of the most fashionable beaches on the São Paulo coast, recharge your batteries in our award-winning So Spa with L'Occitane, relax in our exclusive My Bed and enjoy fun-filled family moments with our leisure activities. Enjoy restful days at our So Spa with L'Occitane, with exclusive, award-winning treatments and top-quality products, as well as professionals trained to offer you a complete well-being experience. With our unique concept of comfort for a good night's sleep, My Bed, you will enjoy a truly restful and relaxing experience, guaranteeing your well-being and getting your ready for the magnifique moments on your trip. From São Paulo, follow Estrada Imigrantes towards Guaruja. From Rio de Janeiro, follow the Estrada Rio-Santos to Guaruja. In the city, follow Avenida Miguel Stefano until Avenida Estrada de Pernambuco. Turn the left and continue onwards for a further 10 minutes. Our hotel is on the right. Sea views and fine decor. The luxury suite apartments include balcony, closet and bathroom, soaking tub and hair dryer. Room measuring 409 sq. 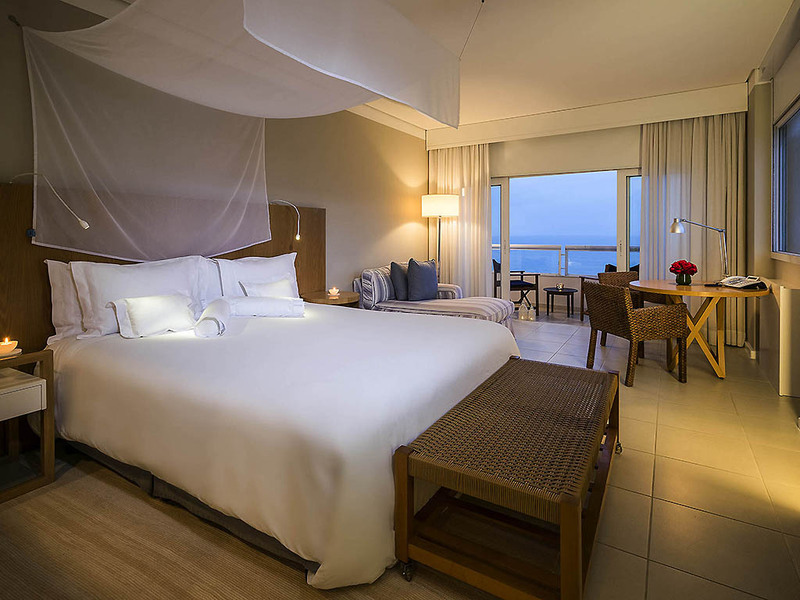 ft. (38 m²) with a 54-sq.-ft. (5-m²) balcony and ocean views, exclusive Sofitel MyBed, bathroom with L'Occitane products, A/C, 32" TV, DVD and free WIFI. Connecting rooms available on request and subject to availability. Room measuring 409 sq. ft. (38 m²) with 54-sq.-ft. (5-m²) balcony and views of the mountains, exclusive Sofitel MyBed, bathroom with L'Occitane products, A/C, 32" TV, DVD and free WIFI. Connecting rooms available on request and subject to availability. Room of 57 m² of which 8 m² of balcony, bathroom with hydro-massage and shower room, L'Occitane amenities, closet, Sofitel MyBed, Nespresso machine, A/C, 32" TV, DVD and complimentary Wi-Fi. Room of 71 m² of which 14 m² of balcony, soaking tub and shower room, L'Occitane amenities, closet, Sofitel MyBed, Nespresso machine, A/C, 32" TV, DVD and complimentary Wi-Fi. Room measuring 1227 sq. ft. (114 m²) with 710-sq.-ft. (66-m²) balcony, bathroom with whirlpool bath and walk-in shower, L'Occitane products, closet, Sofitel MyBed, Nespresso machine, A/C, 32" TV, DVD and free WIFI. Terrace with outdoor hot tub. Our room service is available 24 hours a day, serving hot dishes, snacks and drinks, in addition to special options for children. 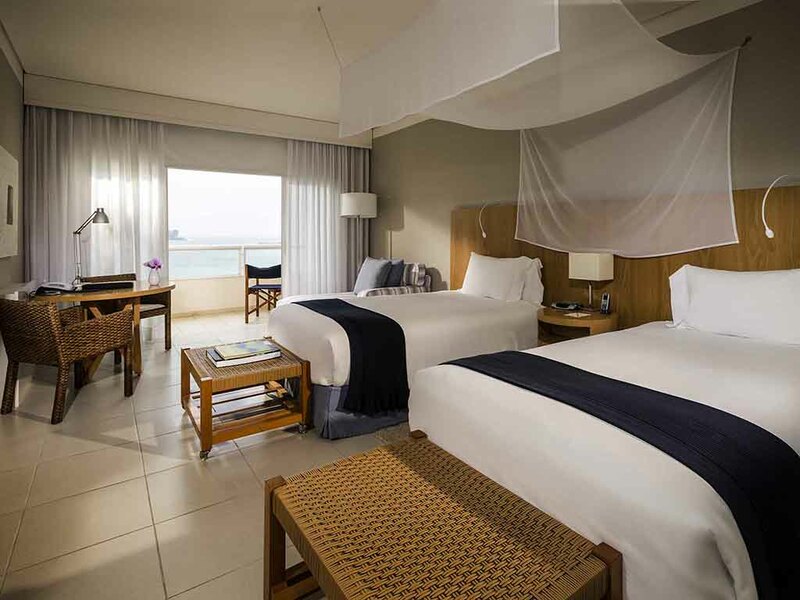 The Sofitel Guarujá Jequitimar has two bars where, as at all Sofitel hotels, elegance and impeccable style go hand in hand. Guests can indulge in our delicious menu and specialty drinks against a backdrop of relaxing music - a truly memorable occasion. 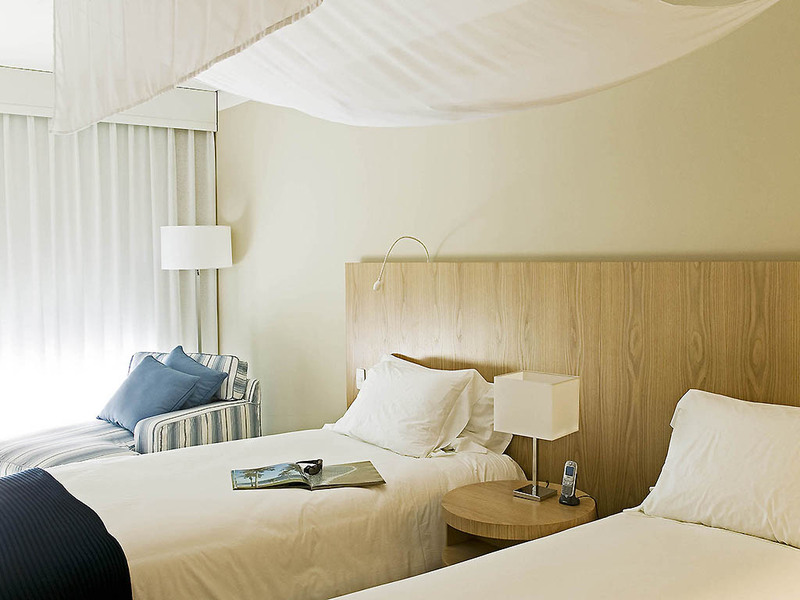 At the Sofitel Guarujá hotel, we have 16 fully-equipped rooms with capacity for up to 1100 people, which can be adapted according to your requirements. The hotel also has an open-air arena over 7176 sq. yds (6000 m²) in size for large-scale events. The most important day of your life in a truly natural paradise surrounded by the best of Sofitel luxury and comfort. First-rate cuisine, impeccable facilities and special treats for your wedding night. So SPA with L'Occitane provides a welcoming and elegant ambience looking out to sea. Pamper yourself with a full range of beauty treatments and emerge feeling revitalized and bursting with energy. We want you to fully enjoy the services we provide and hope your stay is truly unforgettable. We offer a spa, two beach volleyball courts, three tennis courts and a game court, as well as water sports through our partner organizations. Fun for all the family in our pool, which also boasts a pool bar and a children's area, in addition to hosting the most entertaining activities throughout the year. The hotel is proud to be partnered by Companhia Athletica, one of the country's biggest health club chains. Guests have access to world-class, state-of-the-art equipment such as Life Fitness running machines and exercise bikes, as well as expert trainers.